career path in a growing industry. setup and underway as well as the tiling training. including mosaic / 3d patterns and more. 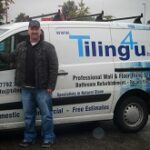 Do you want to run your own professional tiling business? 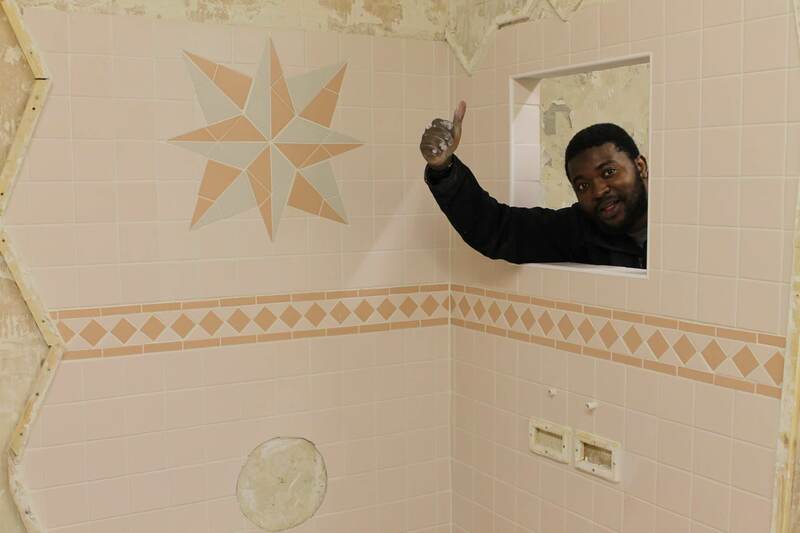 Want to learn how to tile for your own projects? Are you a company looking to up skill or retrain your staff? 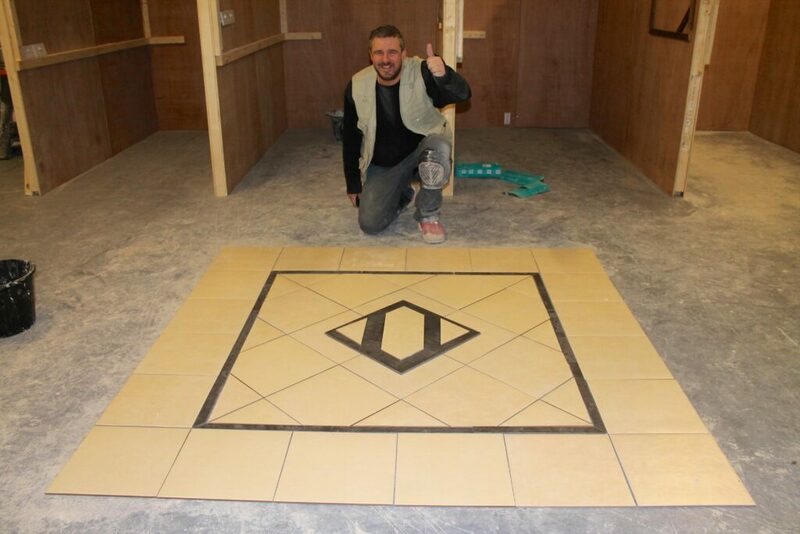 We are the ONLY professional dedicated tiling training centre in the UK, we specialise and only deliver career changing professional fast track Wall and Floor tiling courses at the highest level possible where as other training centres are multi skills where they teach a bit of every trade. 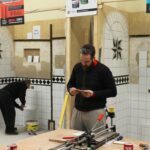 We have a fantastic purpose built tiling training centre for you to learn how to tile in and due to our superb reputation, we train people from all over the world who travel to us. 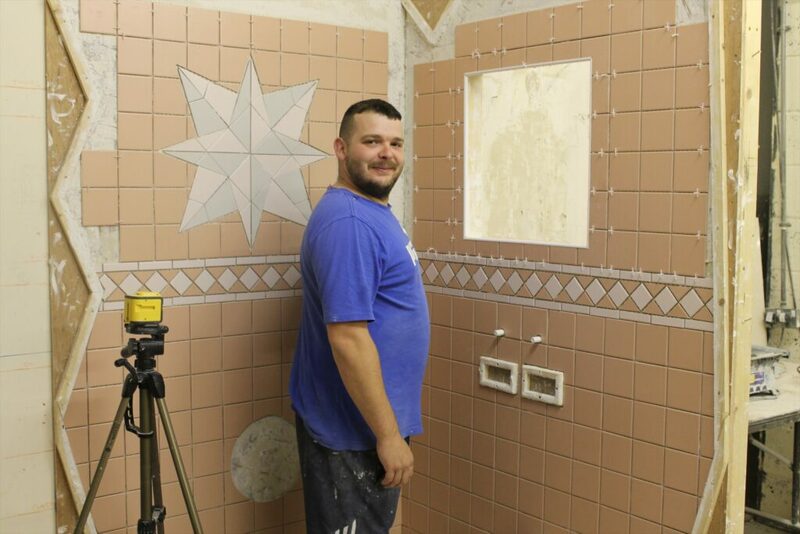 Want to tile like a pro quickly and run a business, then come to the tiling specialists. 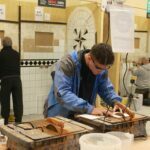 Don’t think all tiling training centres are the same, they are not, don’t just attend your local centre because they are cheap or close to you, choose very wisely where you go, most of them are a basic DIY introduction to tiling and you will be taught by just an employee of that company on a wage, not the owner of the company. If you’re looking to go self employed as a tiler then you’re wasting your time, money and future learning at a DIY tiling level. We have trained many people who have had to come to us for professional instruction after attending other training centres. Good quality tilers can earn between £1000-1500 + per week once established, some of our past students are now making much more running their companies having gone beyond being a sole tile fixer, let us show you how maximise your earning potential as a tiler. Please check out our FAQ at the top menu bar to see how we differ from the rest and why so many people travel from all over the UK and Europe to train with us. 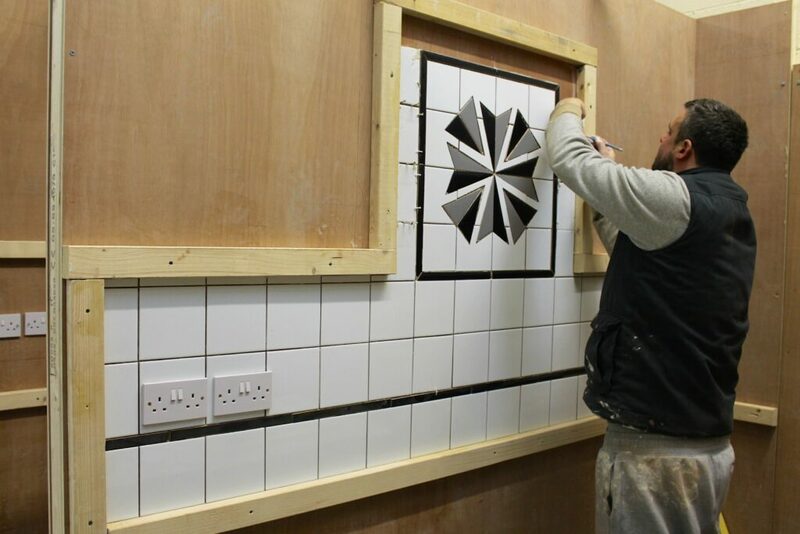 Our fast track tiling courses are designed specifically so you can go straight out and work as a self employed tiler once you have completed our course in the domestic market with our course advanced tiling certificates. If you require an NVQ after completing any of our courses to go onto a building site and work, you can be assessed for the tiling NVQ L2 qualification OSAT route where an assessor will guide you through the requirements of achieving the qualification, there are local fees payable to your assessor for this in your area, this qualification along with a CSCS card will allow you to trade and work on all building sites. CLICK HERE to find out how to get NVQ qualifications. 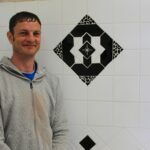 You will be taught personally by the owner of UK Pro Tiling Training, Darren who is one of the longest and best tiling tutors in the UK, with over 15 years experience of actually privately teaching tiling at the highest level NVQ 3 along with over 32 years of successfully running business, he can certainly get you where you need to be running your own tiling business, mentally and practically. Our tiling units are specially designed to give you real life situations to practice in. We are here to pass on all our trade tiling and business knowledge to you and give you the best start possible in your new career or the ability to tackle your own personal wall and floor tiling projects in the quickest possible time. Our business is to help you succeed in YOUR new tiling business. Do you need some more information about our career changing courses at UK Pro Tiling. Just follow the link below and fill out the enquiry form and we will get back to you. We also deliver bespoke professional fast track tiling training to major companies and councils looking to quickly retrain or multi skill their staff as well as the private individuals looking for a career change. Please call us about training packages for your staff. All our Professional tiling courses are listed below, just CLICK on one to take you to the course. Watch our series of video uploads showing the courses in action as well as testimonials and more. We'll help you get up and running from tiling training through to setting up your business, website and more. If you are joining us for multi-day courses you can learn more about the local accommodation options. 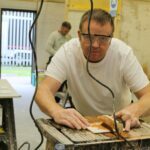 UK Pro Tiling Training have trained thousands of people from all over England, Scotland, Ireland and Wales who have traveled to us because of our reputation and the high quality of our short college tiling training which we have delivered on our courses over the last 10 years. You will gain a very good understanding of whats required to become a Wall and Floor Tiler which are generally always in demand due to ever changing property markets. 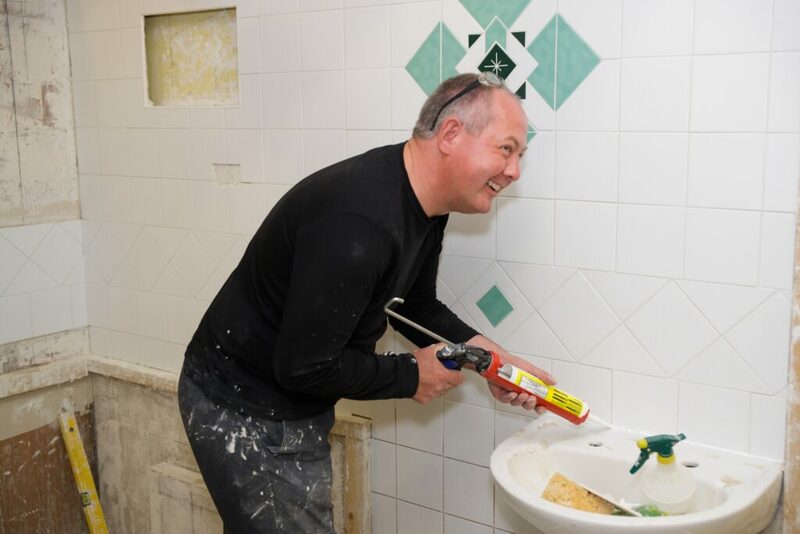 Good quality tilers earn over £900 + per week once established, Think of all the bathrooms, kitchens, conservatories and cloakrooms that are being re-tiled, you could be carrying out all these lucrative jobs after completing one of our fast track tiling training courses. 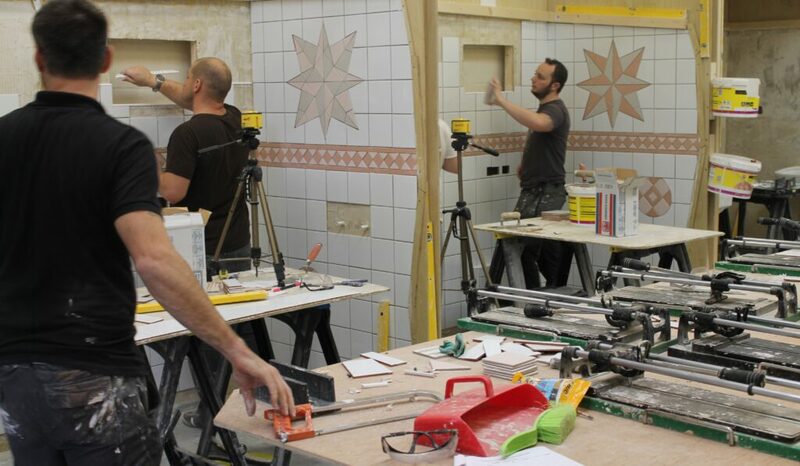 We know that there is more to being self employed than just being a good tradesman and that is why our fast track tiling courses teach you much more than simply being exceptional at your craft. Uk Pro tiling run a variety of intensive fast track courses with proven programs which have run for over 10 years. 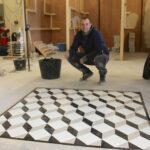 What is a Tiling Course? A tiling course is an educational program designed to help train and educate people on all aspects of tiling from cutting and shaping through to running a business. We offer tiling training to those who live throughout the country. Whether you are in London, Kent, Leeds, Nottingham, Birmingham, Plymouth, Liverpool, Reading, Manchester, Scotland, Ireland, Newcastle we can help with professional tiling education & practical training. 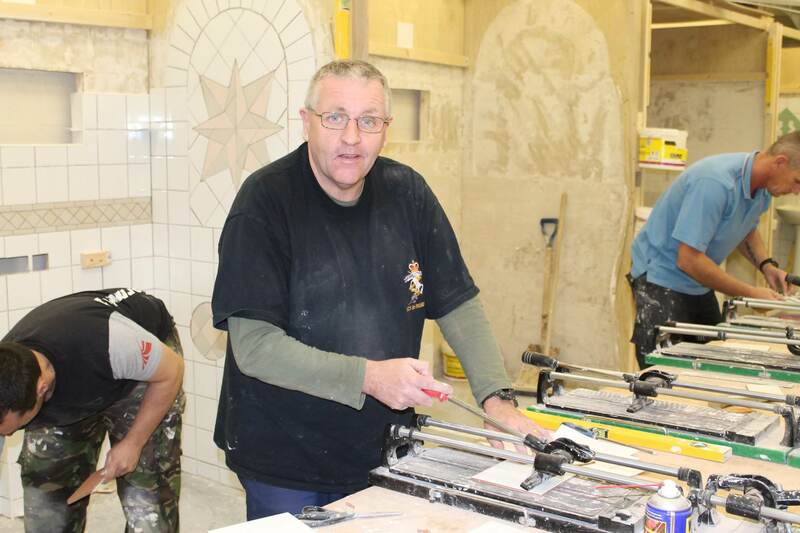 This 1 Day Natural Stone and Business tiling course follows on from the 4 day intensive tiling course and teaches you everything about dealing with natural stone tiles including identification, fitting and sealing them. This course also shows you how to deal with all the different tiling problems and situations once out in the real world from understanding wet rooms, tanking systems, movement joints, under floor heating, anti crack mats, cement backer boards, diamond, brick and herringbone formation tiling. Included in this day is our advanced business program on how start and run a tiling business and maximise your earnings as a tiler, learn the best marketing routes, sales and negotiation skills and how to understand your customers and reap the rewards. A very important day if you want to earn a great living from tiling. This course will absolutely open your eyes into how much money can be earned from a tiling business. Please click HERE for full details on this course. 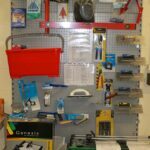 UK Pro Tiling training supply all the tiling equipment and tools for you to complete the tiling course. If you would like to purchase professional tiling tools you can do so from our tools shop, from individual tiling tools to full professional packages to get you started are available at discounted prices. All tools are in stock to take away with you or we offer a postage service to anywhere in the UK. You can also find a range of equipment and safety clothing at the ESW safety shop. Our 4 Day Fast Track Professional Tiling Course maybe short but certainly delivers the goods and is taught at the highest professional tiling level (3), it is an intense practical course to learn how to tile correctly fast, it also covers all the background preparation and products required when tiling, comes with a huge pre written 10,000 word hand out. Do not confuse this with other DIY tiling courses around, this course delivers what you need to know to tile out in peoples houses. Look through the testimonials / pictures / videos and course content delivered on our courses and compare it with any other training centre in the UK, we offer you so much in a short time, you will see why so many people travel to us from all over the world for our fast track training programs. This course runs every week throughout the year. Please click on HERE for the full course details / pictures / videos etc. 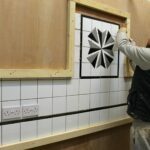 This 9 Day Ready for Work Professional Tiling Course is for anyone seriously thinking of a new career, This course can fast track you with all the information and practical skills required to get you started in a new wall and floor tiling business, learn everything from how to run the business to practically doing the job and everything in between. Simply finish this course and then you can start your business. 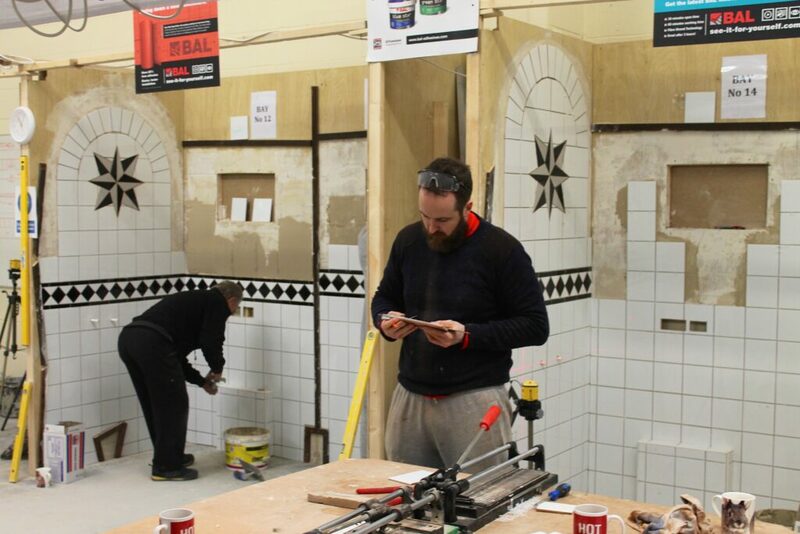 The practical level and info received on this 9 day course matches many of our competitors much longer courses, just compare them and see what value your getting for your money by training with UK Pro Tiling Training. Please click HERE for full details, course content, pictures and videos on this course. Our 13 Day Ultimate Professional Tiling Course for anyone that needs the utmost confidence before you step out and embark on your own self employed tiling career. No longer course is necessary. 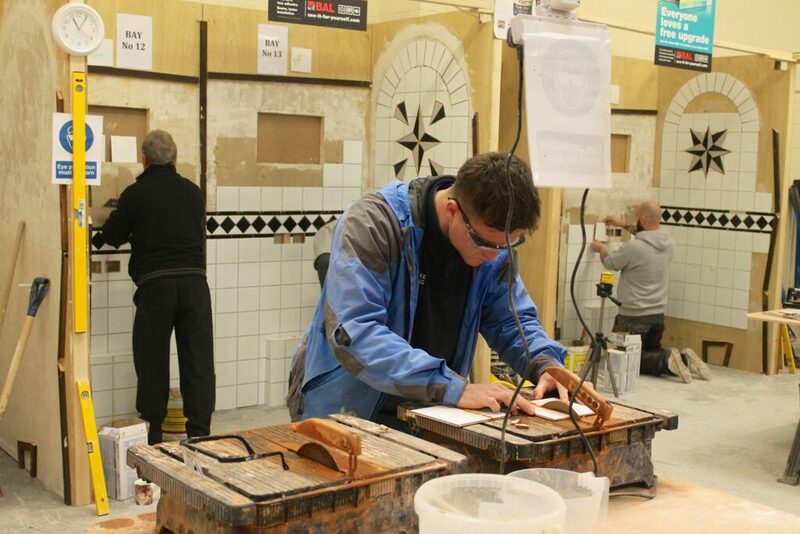 Finish the course and trade as a tiler. This professional tiling course covers all your business success knowledge, background prep, tiling to plans, bespoke tiling work etc and plenty of tiling practice to master your new skills. This 13 day course consists of all of our other courses combined into one plus an additional 4 days of more intensive tiling scenarios. Please click HERE to find out more about this course. 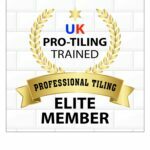 Are you looking for a professional tiling course? Whether you are in London, Manchester, Leeds, Birmingham, Reading, Bristol, Exeter, Liverpool, Glasgow, Newcastle, Sheffield or anywhere else in the UK we can help. To enquire about our professional tiling course training centre please call us on 07960 286 957 anytime or fill out our course form. While were on the thanking procedure for our careers I would like to thank Darren at UK Pro Tiling Training for the opportunity and knowledge that man gave me. I attended the two week tiling course with very little knowledge of tiling industry and stuck in a job i hated. All of his tiling trade secrets and business knowledge were passed onto the class which were outstanding, without a doubt the cleverest business wise man I have met and without his knowledge I wouldn’t be where I am today. If you would like a call back click the ‘Enquiry’ form, we will get back to you ASAP. With us, you’ll learn how to become a qualified tiler who can deliver high quality work and grow a successful tiling business. 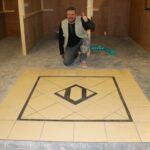 You’ll learn how to tile, how to tile metro tiles, how to grout, how to shape & lay tiles and much more!. You’ll learn the differences between ceramic tiles, glass tiles & applications. 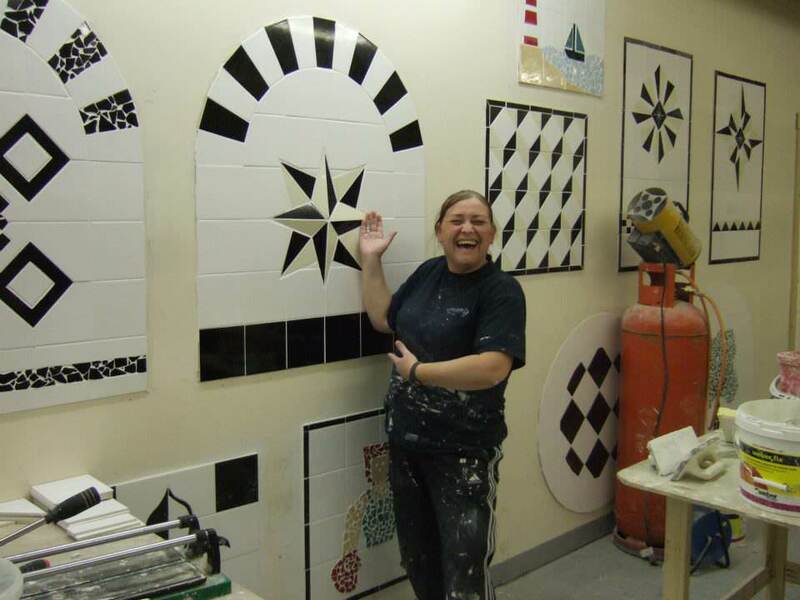 We’re one of the UK’s best tiling schools where high quality education is at the forefront of our business. It’s important in life to work in an industry where you can be happy with what you do whilst earning a good income. Job satisfaction is key, which is why the tiling industry is a great industry to choose. Combining fantastic earning potential with the freedoms and flexibility that you’d otherwise not get in a standard job. 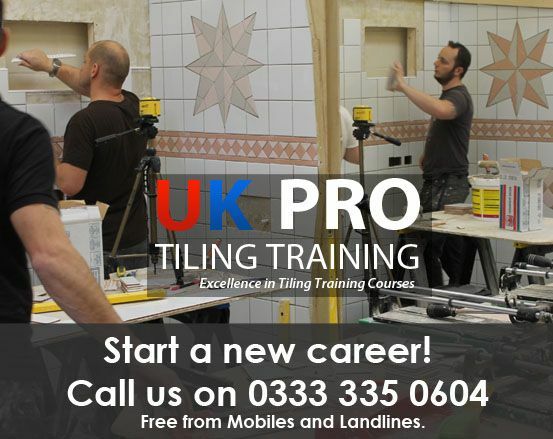 With UK Pro Tiling Training, we’ll help you change your career path fast, with us, you won’t just learn how to tile, you’ll also learn how to run a tiling business. From getting setup as a tradesman through to establishing yourself locally. We’ll also help you evaluate what you should be charging for your services as lots of potential customers will always wonder how much do tilers charge or what are typical rates to get a tiling professional in to quote for work.